The latest case of Angler EK delivering Alpha Crypt ransomware. 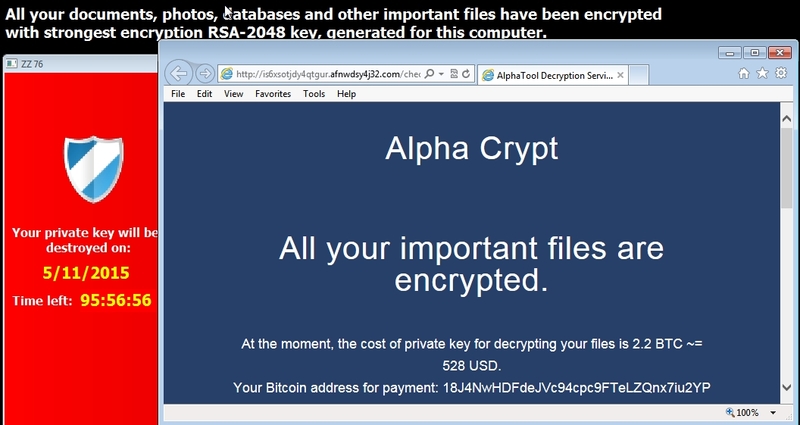 Alpha Crypt is a Teslacrypt clone, which already was a CryptoLocker clone. I previously posted a blog about this on 2015-04-30 and yesterday 2015-05-06. Today's sample has the same post-infection domains as yesterday, but a different bitcoin address for the ransom payment.